Secure, fenced compound of approximately 0.5 acre (0.2 ha). The site has a compacted stone surface and is secured with palisade fencing and 6 m (19′ 6″) palisade double gates. Flexible terms offered. Design and build opportunities are also available on Brunel Park and Telford Drive. Telford Drive is strategically located to provide excellent access to the road network, with the A1 north and south and its junction to the A46/A17 east and west close by. Newark town centre is approximately one mile west, with Lincoln and Nottingham both within half an hour’s drive. The site is located on Telford Drive just off Brunel Drive which is Newark’s main industrial estate. Nearby occupiers include Plumb Center, City Plumbing Supplies, St John Ambulance, Howdens Joinery, ATS and A Plant. The site is considered ideal for open secure storage or vehicle parking. 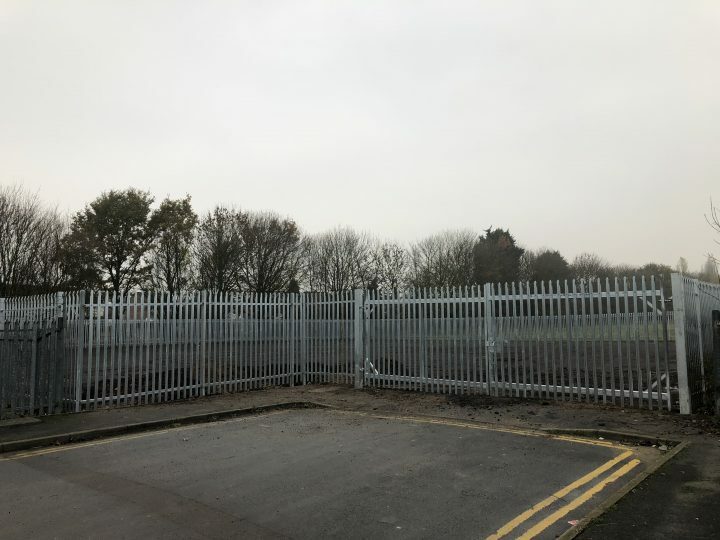 This is a 0.5 acre (0.2 ha) level site, with a compacted stone surface and secure palisade fence with 6 m (19′ 6″) wide palisade double gates. Business rates are to be assessed. To let on a new lease on flexible terms. £15,000 per annum exclusive, payable one quarter on completion and then monthly in advance. Mains services are available in the estate road and can be provided by negotiation.